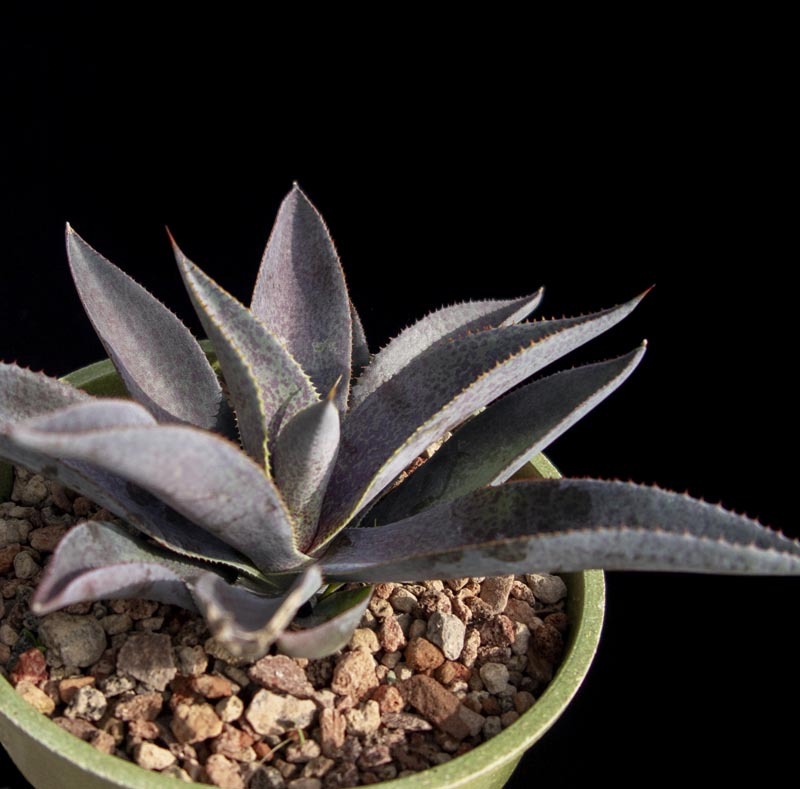 Smokey purple new leaves with subtle burgundy speckling and bright orange teeth. Leaves age to a blue green. Great in containers. Deer resistant.